Want to sleep low budget? A hostel Venice is than my answer. An excellent way to have an accommodation in this city. 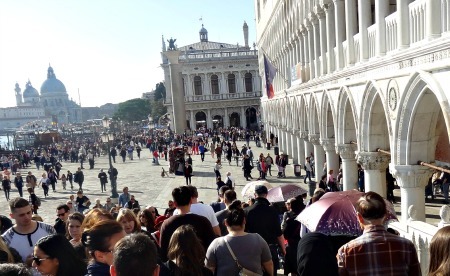 Surprisingly, life in Venice is not ridiculously expensive. Searching for a sleeping place which fits your budget is one of the steps you have to take. And I will help you with it. 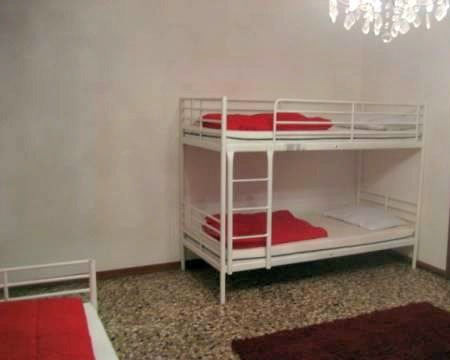 You'll usually find a cheap room in a hostel in Venice from EUR 14,- per night. Via Hostelworld you can directly see the available rooms and the cheap offers. Compare and experience your stay which you will never forget. 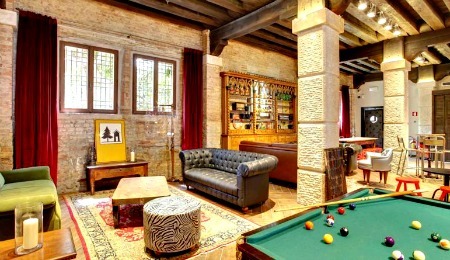 Finding good hostels in Venice Italy is not easy. Explore the city and read about my top 5 favorite hostels in Venice. And all of these hostels have Free WiFi - !!!! Wander and take your time. There are lovely (free) things to admire in this historic capital. Hostel no. 1: One of the largest hostel Venice is the 'Venice Generator Hostel,' and it has a unique location. On the opposite of the S. Mark square on the island of ‘La Giudecca’ where the ‘rich and famous’ stay in expensive hotels. Dorms are mixed, and there are rooms for women with 7 or 16 beds. From EUR 35, -p.p. per night. 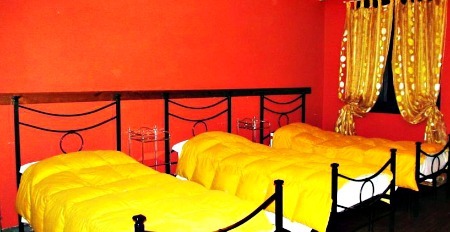 For a private room for 2 or 4 persons, you pay EUR 55 per night p.p. The most significant room for five people is more advantageous than the other places, but you pay a total of EUR 50 per night p.p. Hostel no. 2: Female Hostel "Friendly Venice" has a good reputation. Within walking distance of the sights. You easily can use the Accademia bridge, and you're at the Peggy Guggenheim museum. One bed in the woman's room with max. Five persons, they charge you EUR 47, - per night. Remarkably, there is a breakfast waiting for you each morning in the breakfast room. The lovely morning refreshments are inclusive the rate! On your arrival, you have to let the female owner know your arrival time, so they do open for you. Hostel no. 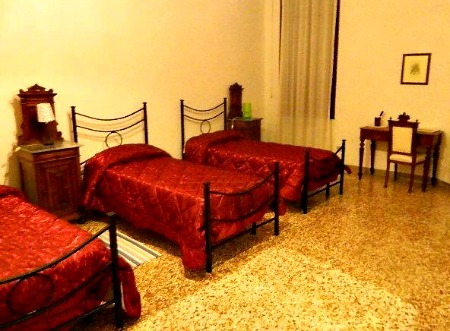 3: Near the Venice Train 's you will find 'Hostel L. Imbarcadero.’ Simple, but a nice hostel. And the location is ideal. You don’t need to carry your backpack through the alleys of Venice, but very close to bus- and train departures. 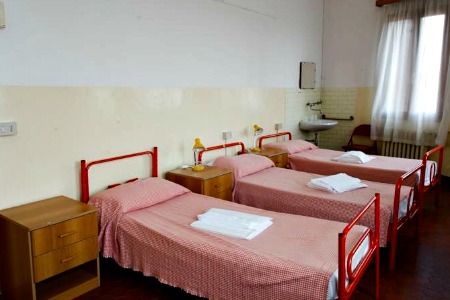 There are mixed rooms and female rooms from 4 persons. Per bed, you pay EUR 56, - per night. You can also book a private room with a private bathroom. But the price starts at EUR 139, - per night. Also, this hostel has every morning breakfast for everyone. Hostel no 4: This simple Hostel 'The Academy' has a central location in Venice. It is small, but with an own kitchen that you have to share. A female dorm for max. 4 people and a mixed room for max. Five persons. Per bed, you pay EUR 55, - per night. Sheets you need to hire (EUR 5). Hostel no. 5: "Ostello Domus Civica” is very popular! It is safe and secure to reach from Piazzale Roma. The beauty is that the hostel has a private terrace where you relax sitting outside. It is inexpensive with EUR 30, - per bed per night. There are both female dorms and mixed dorms. Be aware; this accommodation will close every night at 0:30 am. After this, you can no longer enter. This page is about my top 5 hostels in Venice. 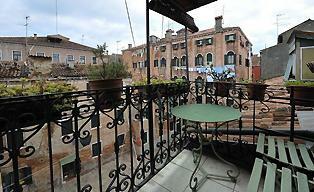 Read my site in Venice and get more information about this beautiful Italian city.